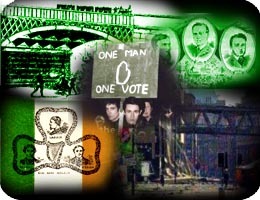 PRIDE OF MANCHESTER - Celebrating life in the ShamRock'n'Goal capital of the world! Manchester's Irish connection goes further than the thousands who travel across the Irish Sea each week to watch their beloved Manchester United. Indeed it goes deeper than the thousands of Irish Mancunians who live in Levenshulme and throughout the city. 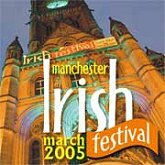 The annual Manchester Irish Festival is the largest in the UK and one of the biggest in the world. 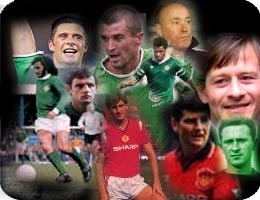 On these pages, we take a look at why the connection is so strong and celebrate everything Irish to have emerged from Manchester. All pages within PrideOfManchester.com, PrideOfManchester.co.uk and unitedMANCHESTER.com are Copyright © 2003 Pride Of Manchester. All rights reserved. If you wish to reproduce any content please contact us first for permission - We don't bite!